The Strictly star was not agreeable with Neil after she blamed his oven for the pizza going wrong. In a second clip, Katya seemingly appeared to show her annoyance as she was left to clean the dishes while Neil went for a workout. However, in a third clip the couple revealed the results of their cake and appeared to put their disagreement behind them. Meanwhile, the couple appear to be enjoying their time in Russia after Neil shared a snap on his Instagram of the pair. Katya could be seen lying on his shoulder showing off her wedding rings as the pair beamed at the camera. He wrote: “Wow it’s cold here in Russia but I do love a bit of skating, I only wish I could dance on ice as well but as a young boy after watching the mighty ducks movie. 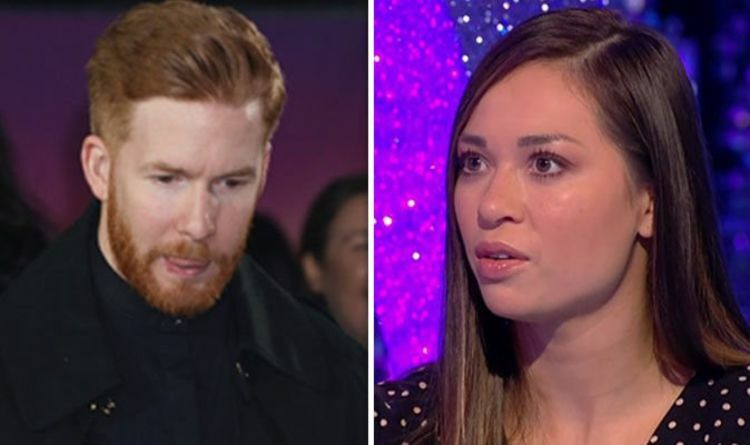 The couple made headlines last year after Katya was spotted kissing her Strictly Come Dancing partner, comedian Seann Walsh, on a night out. The dancing duo apologised for their actions in separate Twitter posts.